Vostok Watch Makers, Inc. produces mainly military and diver mechanical watches at its factory in Chistopol, Tatarstan, Russia. Presumable "Vostok" brand was named after the Vostok space programme, which gave the initial advancement of the USSR in the Space race (as some others soviet watch brands, named to space topics in 1960s - Poljot and Raketa). The company was appointed an official supplier of watches for the Defence Department of the Soviet Union in 1965. This year also marks the creation of the well known Komandirskie ("Commander's") watch. The experience gained through development of the army watch led to the Amphibia, a stainless-steel watch able to withstand a 100 metre depth (10atm). By 1980, Vostok Watch Makers was producing 4.5 million timepieces per year. 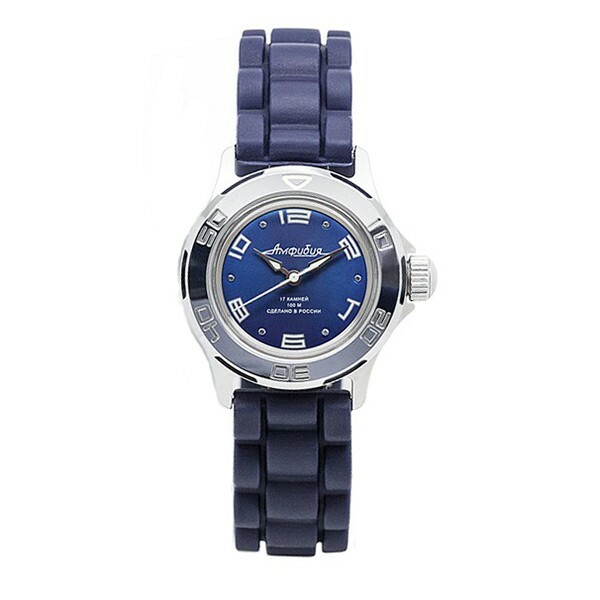 In 2006, Vostok Watch Makers began marketing another new line of watches branded "Amfibia." This brand, like most other Vostok products, features the familiar 17-jewel automatic (No. 2409B) movement. These watches feature "diver" styling with polyurethane bands. This impressive timepiece in stainless-steel case endured the depth of 100 meters - kind of a wrist submarine. Success of the professional watches determined the company's present philosophy - to create mechanical watches maintaining precise timekeeping at any temperature, in any environment, surviving heavy pressure and blows. The viability of the chosen strategy is now time-proven. A vast multitude of people both in Russia and abroad boasting "Vostok" watches and various international prizes awarded for high quality and commercial success testify to this.